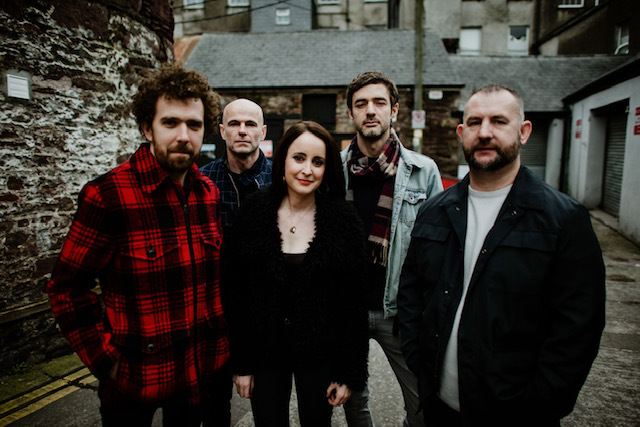 Irish "new wave trad" quintet Beoga have just released the lyric video for their new single Matthew's Daughter, featuring American singer-songwriter Devin Dawson. The track was written and composed by Beoga, Ed Sheeran, and Snow Patrol's Johnny McDaid and was produced by Jonny Coffer (Beyoncé, Fall Out Boy, Lykke Li). I am loving this song and Devin's vocals sound amazing over the beautiful melodies and infectious hook! Watch the lyric video below! 'Matthew's Daughter' is about being thankful and acknowledging your loved ones and where they come from; it's something most people can relate to. We are delighted Devin agreed to collaborate with us on this one. His voice lends itself perfectly to this song and we were very careful not to get in the way and over play it. Together, we've hopefully created something that people will love. When I first heard about the opportunity to collaborate with Beoga, I was really intrigued by the chance to expand my horizons and fuse my perspective on music with someone else's. 'Matthew's Daughter' is a beautifully honest song that tells a story I think we can all relate to at least at one point in our lives. Plus, how dope is it that in today's world we have the ability to jam on a song from across the globe? I never would have expected to be singing on an Irish song, but the more I dive in, the more I'm discovering how similar both our genres are. I'm really honored to be a small part of this project coming from Beoga, and I can't wait for y'all to hear it.